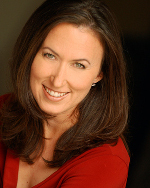 Soprano Bonnie Draina has wide-ranging interests in both pedagogy and performance. An avid interpreter of post-Romantic and contemporary art song, she performed new songs of Lee Hoiby on Colorado Public Radio in 2006, and has since become a regular guest in the KVOD studio. Her operatic roles range from Mozart's Despina to Widow Glock in the world premiere of Sara McKinnon by Randall Shinn. Her recent solo performances with orchestra include The Messiah and St. Matthew Passion with the Bethany (KS) Messiah Festival, Stravinsky's Les Noces with the University of Colorado choirs and percussion ensemble, Mozart arias with the Boulder Philharmonic, and solo motets with the Boulder Chamber Orchestra. An accomplished recitalist, she enjoys collaborating on a variety of projects, including the world premiere of Sayaka Ishiguro's Hushaby Songs with pianist Mutsumi Moteki and performances of American music with hammered dulcimer expert Lucille Reilly. Dr. Draina is a respected pedagogue specializing in Body Mapping. Her research on somatic training of musicians has earned her invitations to present at universities and conferences across the United States and Canada. She is a licensed teacher of Body Mapping and an active member of Andover Educators, working to promote the health and abilities of musicians through somatic and sensory training. At the University of Colorado, she taught studio voice and vocal pedagogy and played a leading role in the growing Musicians' Wellness Initiative. Dr. Draina holds D.M.A. and M.M. degrees from the University of Colorado and Westminster Choir College. Before moving to Colorado she taught at Princeton Theological Seminary and Drew University in her native New Jersey, and worked in the offices of the New York Philharmonic. She lives in Carbondale with her husband and son.